School transportation departments across the nation must work within tight budgets and evaluate bus choices based on multiple factors. Three new case studies explore the topics of total ownership costs, maintenance expenses and cold-weather conditions with propane autogas-fueled school buses. Below is an overview along with downloadable links to each study. Cold weather should not be an operational barrier when it comes to school bus transportation. 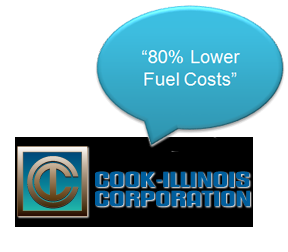 Testimonials from three school district transportation directors demonstrate that, in cold-weather conditions, buses fueled by propane autogas start and operate better than their diesel-fueled counterparts, where the fuel may gel at extremely cold temperatures. The Blue Bird Vision school bus equipped with a ROUSH CleanTech fuel system alleviates cold-weather start problems with its propane technology. This technology has alleviated cold-weather start issues associated with vapor technology propane systems of the past. In fact, this fuel system provides for unaided cold-weather starts to minus 40 degrees Fahrenheit. Download the cold weather case study here, or visit ROUSHcleantech.com/downloads. As district transportation departments across the nation work within tight budgets, many convert to buses operating on alternative fuels. School buses fueled by propane autogas have an incremental cost of about $8,000 more than diesel. Testimonials from four school district transportation directors demonstrate that this incremental cost is quickly recouped. One district uses about 875 quarts less oil each year by operating propane school buses, saving $2,275 annually. Another is saving 20 to 50 percent on a cost-per-mile basis with propane buses. These districts show that lower maintenance expenses of propane buses lead to overall reduction in total ownership expenses. 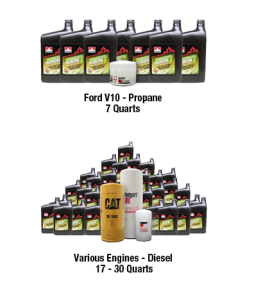 Download the maintenance case study here, or visit ROUSHcleantech.com/downloads. School transportation departments across the nation must work within tight budgets and evaluate bus choices based on total ownership costs. Testimonials from three school district transportation managers demonstrate that the fuel and maintenance savings from propane-fueled buses result in low total ownership costs. These districts have reduced fuel costs and cut maintenance expenses in half due to their adoption of propane buses. One school district’s propane school buses saved them approximately $173,000 in maintenance costs and $77,000 in fuel costs compared with diesel— in their first year alone. Download the TCO case study here, or visit ROUSHcleantech.com/downloads.